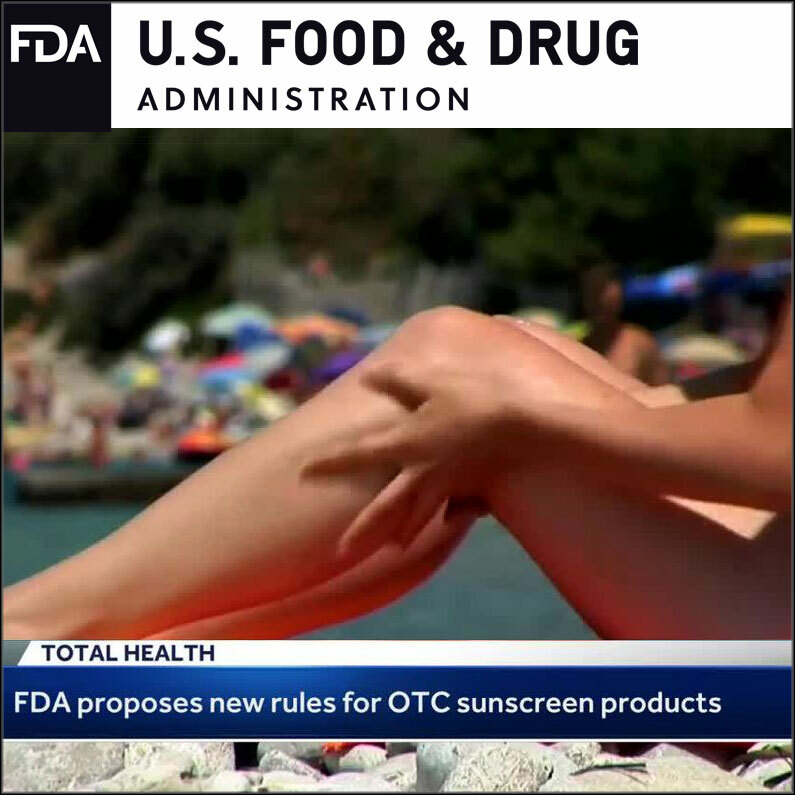 According to the FDA press release, this proposal is aimed at “bringing nonprescription, over-the-counter (OTC) sunscreens that are marketed without FDA-approved applications up to date with the latest science to better ensure consumers have access to safe and effective preventative sun care options.”"
Among its provisions, the proposal addresses sunscreen active ingredient safety, dosage forms, and sun protection factor (SPF) and broad-spectrum requirements. It also proposes updates to how products are labeled to make it easier for consumers to identify key product information. • That, of the 16 currently marketed active ingredients, two ingredients – zinc oxide and titanium dioxide – are GRASE (Generally recognized as safe and effective) for use in sunscreens; two ingredients – PABA and trolamine salicylate – are not GRASE for use in sunscreens due to safety issues. There are 12 ingredients for which there are insufficient safety data to make a positive GRASE determination at this time. To address these 12 ingredients (Avobenzone, Cinoxate, Dioxybenzone, Homosalate, Menthyl anthranilate, Octocrylene, Octyl methoxycinnamate, Octyl salicylate, Oxybenzone, Padimate O, Phenylbenzimidazole sulfonic acid, Sulisobenzone), the FDA is asking industry and other interested parties for additional data.